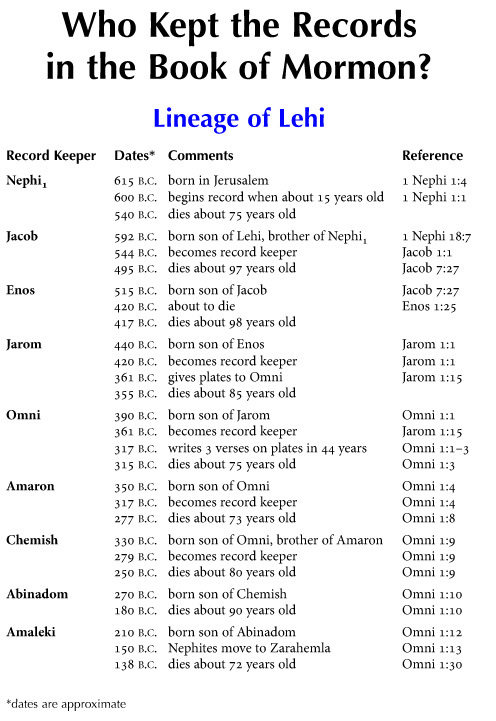 The four families of Nephite record keepers of the Book of Mormon are listed chronologically here, along with their approximate dates of birth and other important information. 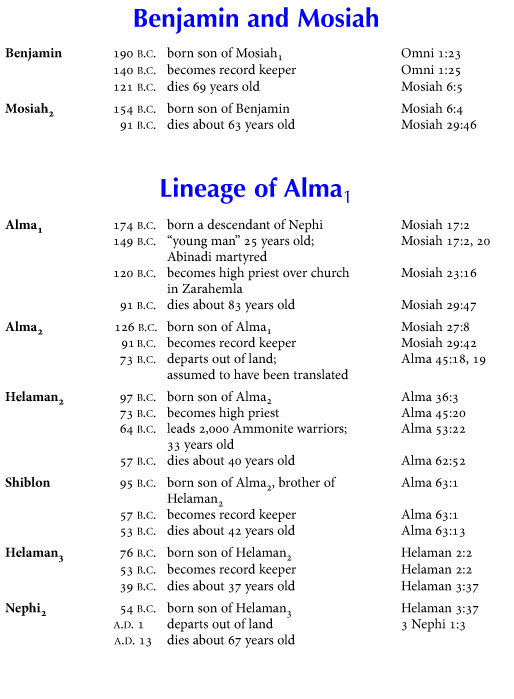 If a date is not found in or tied directly to a specific verse, then the information has been deduced from general historical information. 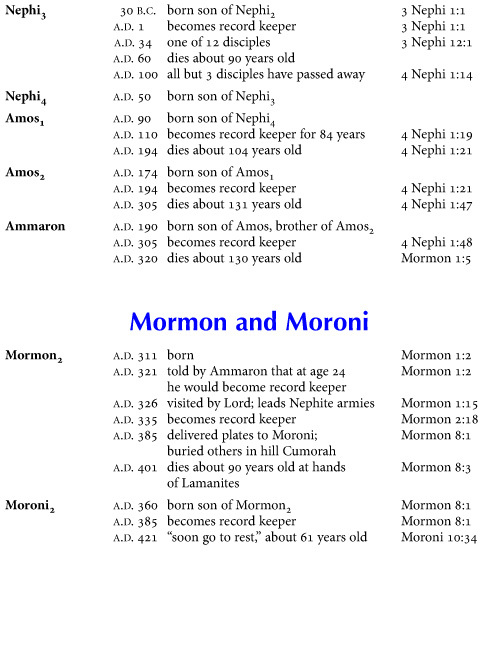 This list is similar to chart 16 and can be used to document and explain the relationships between keepers of the plates of Nephi.